We are a family run waistcoat and accessories business which was established by Valerie and Jeffrey Fitch in 1993, makers of the finest quality waistcoats and specialise in evening wear for Ladies and Gentlemen. We use only the finest of fabrics including - Jacquards, Brocades, Dupions, Silk, Satin, and Tartan in 100% pure wool. 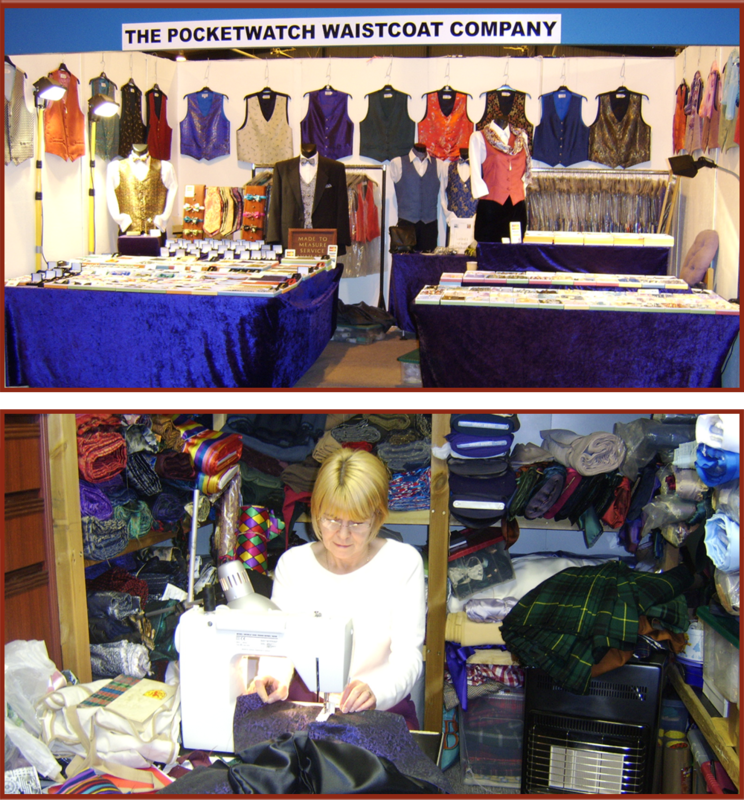 All waistcoat orders are made to order. We have the largest selection of self tie bow ties in the UK, over 250 to choose from. Many of our bow ties are stock items and will be dispatched within 48 hours from our UK studio. We can also be met in person at various events and exhibitions that take place around the country. For further information on these events please email enquiries@pocketwatchwaistcoats.co.uk or give us a ring on 01724 764494 / 07857 643705 / 07597 339342.